The Hamas-Israel war is a test of Israel�s power-projection and posture of deterrence, which directly impacts the national security of Jordan and other pro-US Arab countries. They rely on Israel�s posture of deterrence in their own battle against rogue Islamic regimes. 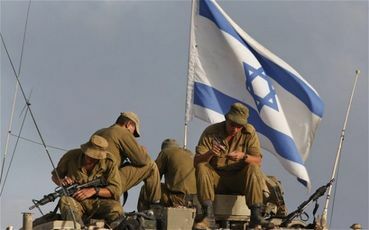 In addition, the Hamas-Israel war highlights the limited impact of the Palestinian issue � both the PLO and Hamas � on Middle East developments and intra-Arab relations. The war underlines the gap between the Western perception of the Palestinian issue, on the one hand, and the Egyptian and overall Arab perception on the other hand. Contrary to Western conventional wisdom, Egyptian President Sisi and all other Arab leaders do not consider the Palestinian issue a top priority, a strategic added-value, a core cause of Middle East turbulence or the crux of their conflict with Israel. In contrast to US policy � as executed by President Obama since his June 2009 speech in Cairo, when he elevated the Muslim Brotherhood to unprecedented heights and dumped President Mubarak � Sisi outlawed the Muslim Brotherhood, the �parent company� of Hamas, branded it a terror organization and sentenced its leaders to death. A very informative and accurate article, Ge. When the Arab nations start to wash their hands of these lunatics there's some hope for the future. A majority of the Middle East - and Palestinian civilians as shown in a recent poll ~ have had their fill of the extremists and are supporting Israel. The Arab world has had their fill of Hamas too. But the pro-Muslim group still raises them to god like status, they can do no wrong! interesting how many muslim nations seem to have shifted away from their love affair with the palestinians. iran is yet to catch up (how's that for an understatement? ), as is most of the western media. Has anyone noticed that the money and support only comes in when the objective is attacking Israel? Here's some perspective - Israel is using children as 'human shields' and is conducting a war on Palestinian children, murdering countless innocent and defenseless civilians to try and break the back of the Unity government of Gaza and take over, as it planned to do a long time ago. Israel just wants Gazans to move out, so it can move in. It wantscontrol over the gas fields and everything else, just like in the West Bank and Jordan Valley. Despicable, cowardly action, condemned worldwide.